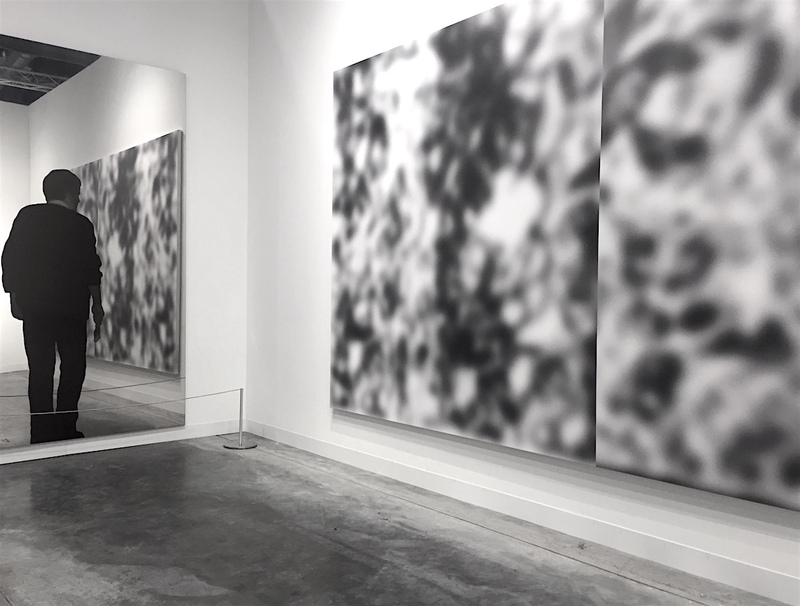 Rumors started to circulate during the VIP Preview days at Art Basel Miami Beach and did so in hushed tones in the long corridors of the Miami Convention Center. Visitors who initially were a mix of First Choice, Press and general VIP speculated that the fair was not seeing the crowds that normally flood the convention center with a frenetic energy. These thoughts arose months before the fair was to open to the public and the first offense leading to the decision of many collectors and art lovers alike to not attend was due to the outbreak of the Zika Virus. The second offense, and yes for many it is still an offense, was the election of President Elect Donald Trump. Both rocked the art world, one carrying the weight of physical malady and the other emotional. 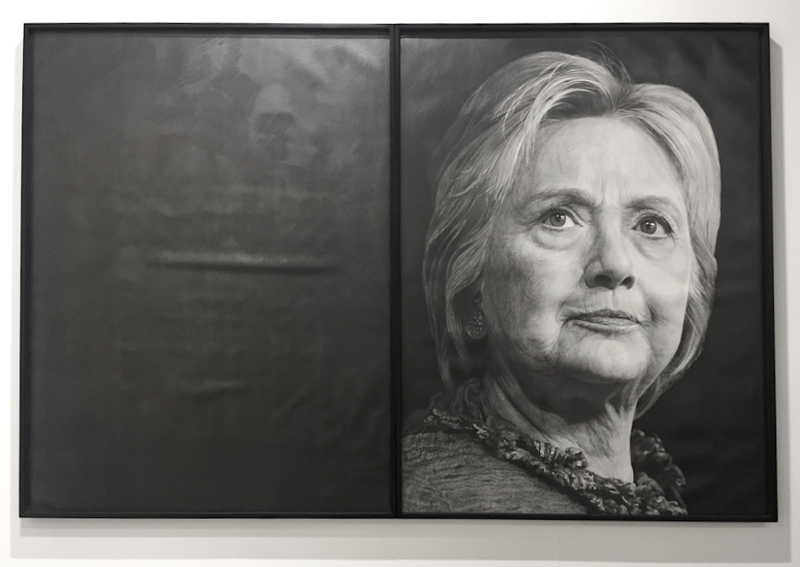 That being said, while a light box by Sam Durant, stating “End White Supremacy” exhibited by Blum & Poe, probably received the most attention on social media, a beautifully rendered graphite diptych titled “Hillary Clinton” by Karl Haendel at the Susanne Vielmetter Los Angeles Projects booth was quieter, solemn even. Unlike the flashy Durant, this drawing was inward facing rather than outward facing, hidden almost. The portrait represented hope for so many, the other side just black graphite, uncertainty. Extremely relevant to the current state of affairs, it’s something that could not be passed up, acknowledged or ignored. Much of the work at the art fair was “safe” neither thought-provoking or representative of temporal sociopolitical issues. 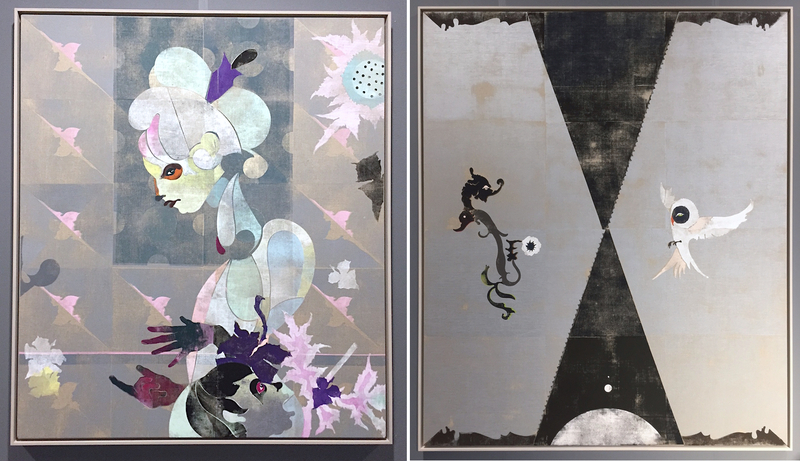 Another artist who stood out with work ready to challenge and instigate reaction included Carlos Motta showing with Henrique Faria, New York and Buenos Aires. 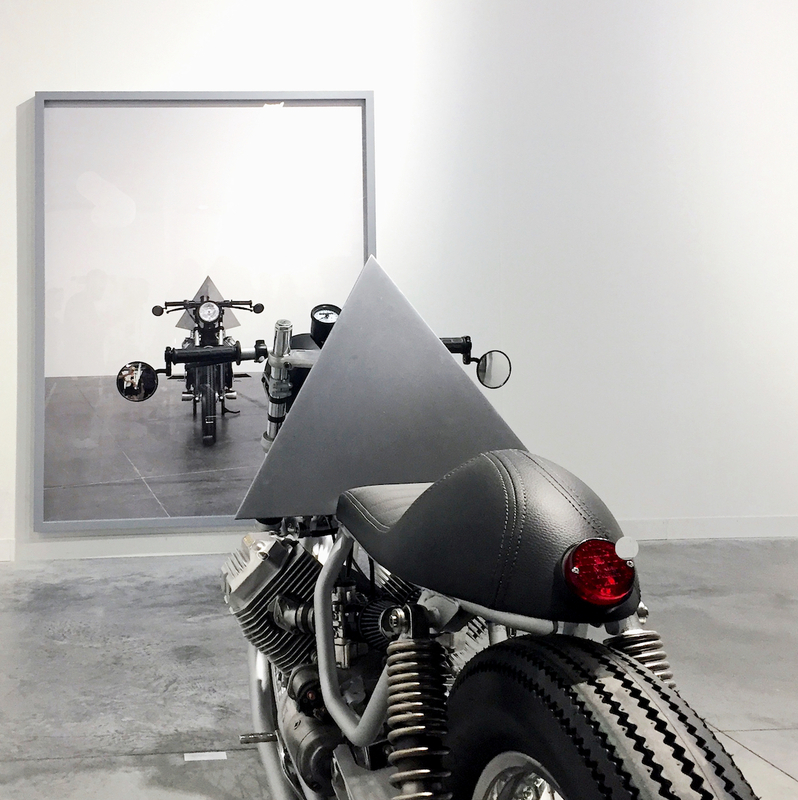 Motta also opened a small solo exhibition at the Perez Art Museum in Miami, right outside of South Beach. While many present seemed to chaff at the smaller overall turn-out, galleries appeared to be making sales and several reported successes ranging in the millions. Conversations were being held in every booth and by the third official day, it was pointed out that many of the paintings and photographs that were hung during the initial preview were no longer available. Stand-outs ranged in scale and medium alike but as within the fair landscape, often two-dimensional work is more accessible regarding sales. 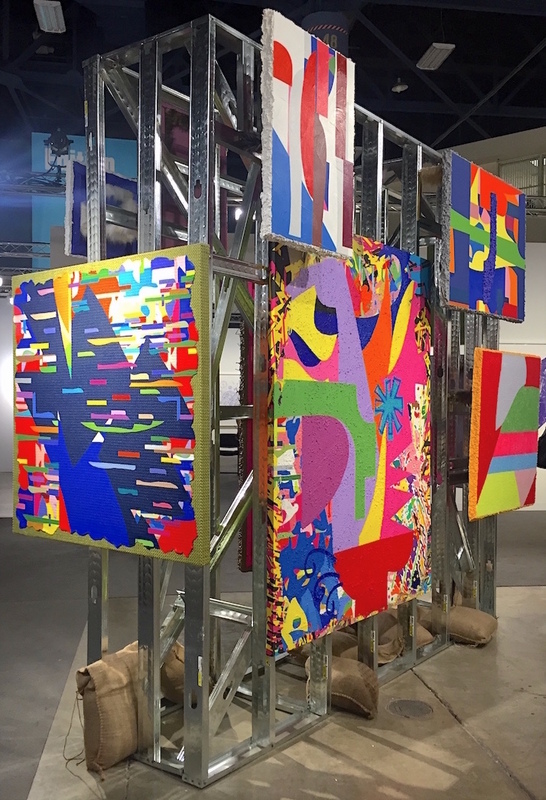 One of the most striking and innovative sculptures was by Eli Sudbrack (from Assume Vivid Astro Focus) who used an industrial architectural frame to hang boldly colored, geometric paintings on. There is something about the sculpture that is at once easily legible but also is forward reaching, expanding the dialogue of ways to think about painting and dimensionality of space. Whether or not it was the political climate hanging invisibly in the air, or the ever-present alarming amount of visual stimulation present from every angle, on a personal level, I found myself in search of romance and romanticism, attachments. 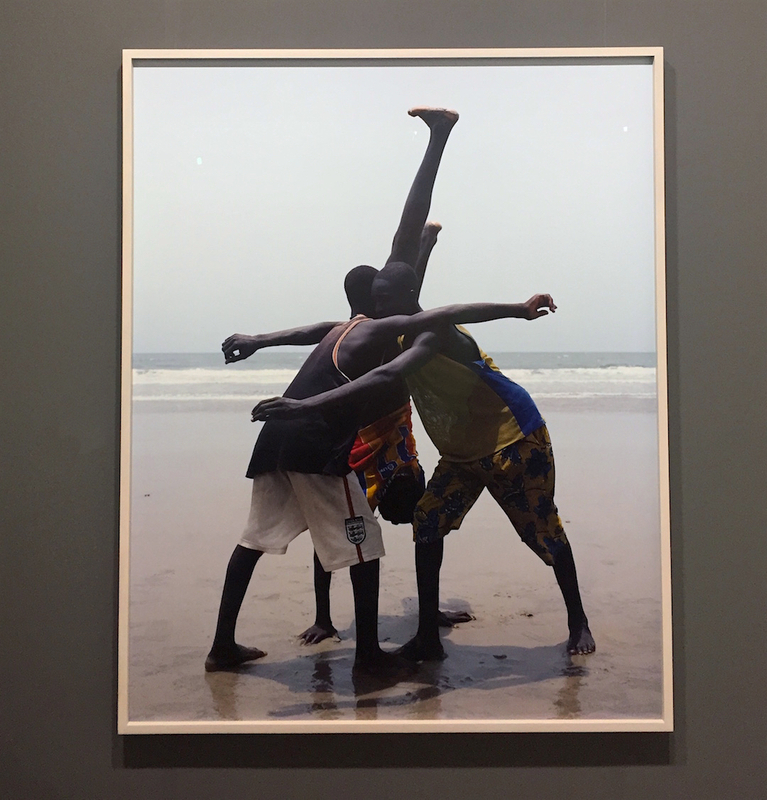 When examining art within the frame of the fair, everything changes due to spatial and categorical relationships along with the sheer number of people also looking. Some look for pleasure, art advisors look for clients, collectors look for themselves, galleries look at what their peers are selling and how they are presenting and artists look at other artist’s work and wonder if they might be a good fit in a particular gallery. We are looking at each other; seeing friends, avoiding eye contact with some and air kissing others. 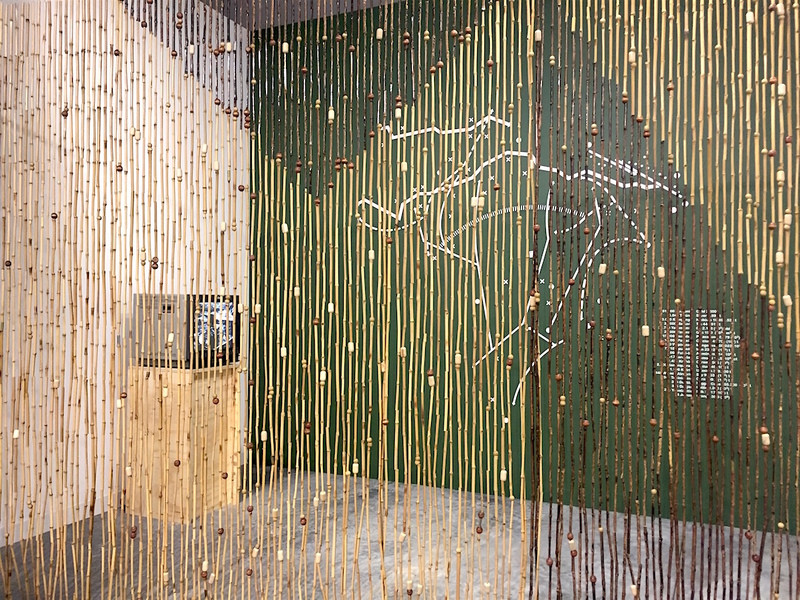 Art hangs on nearly every free-standing wall and much of the floor space contains sculpture or other types of installation. In this context, I’ve become aware that I am often drawn to aesthetically simpler works, a word with fewer letters or a paragraph with fewer words that still says enough. This year post-election, morose air hung concealed and weighted in the Miami Convention Center, its presence unspoken of and silent. Did it increase sales and those seeking newness? Were sales and attendance hurt from those not wanting to celebrate art in a time when the US is at a political crossroads? There is a distinct human presence in all of the work I was drawn to. Invisible bodies of the artist or others could be detected as a phantasmagorical passing from one object to the next categorically framed as the collective experience. Even within the global context of fair participators and visitors alike –based in the US or abroad– so many carry a particular uneasiness as we approach 2017. In taking action whether politically, socially or personally, contemporary art can play a part. It is when looking, that I feel the quietest. Art is about joy. It is meant to be experienced, questioned and lived with. 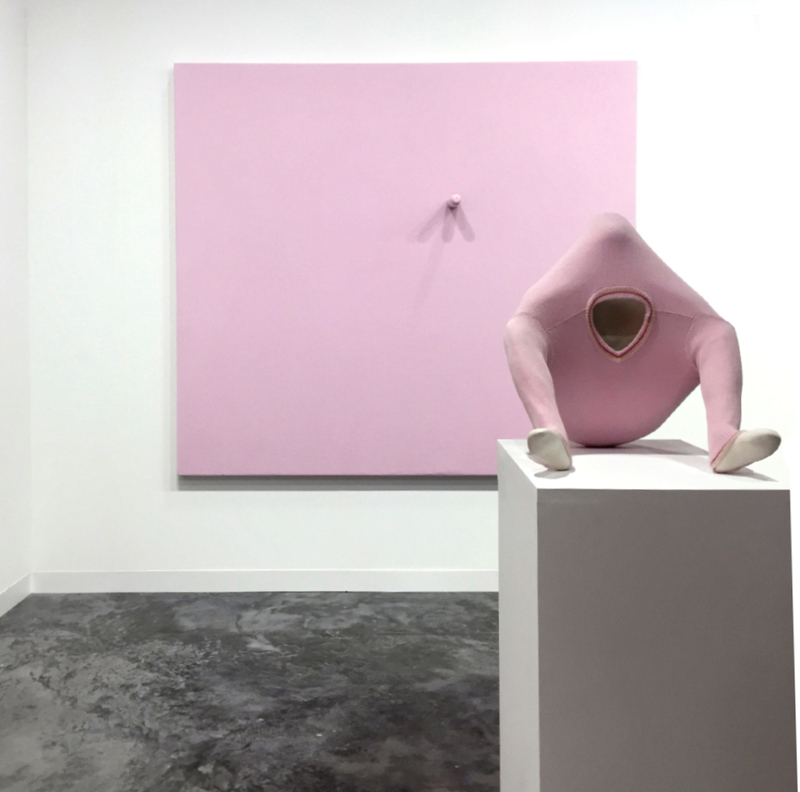 Rather then prove overly didactic or utterly ironic, the majority of choices dealers made for Art Basel Miami 2016, epitomized individual stables while also reminding us that sometimes art doesn’t need to be much more than a pretty picture. 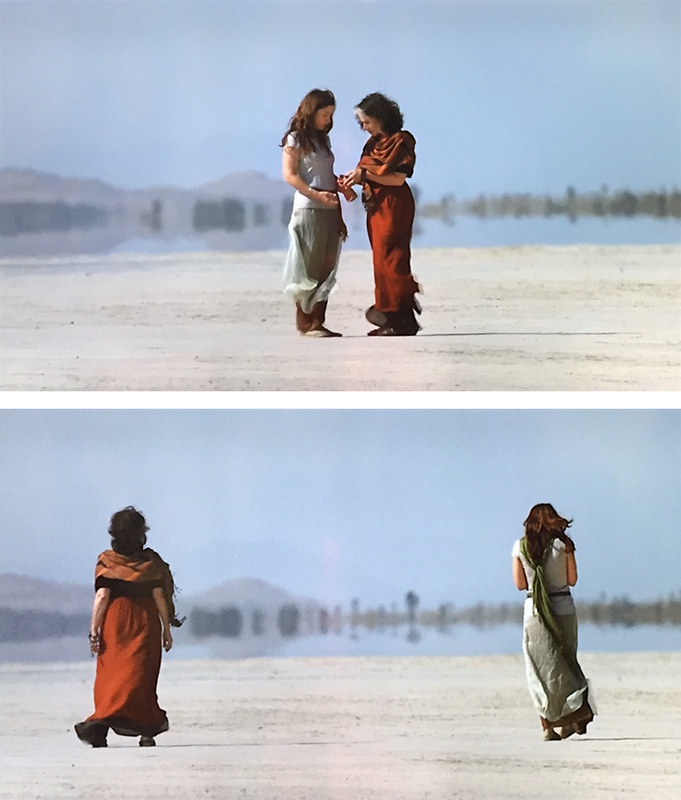 Ultimately, I prefer more but in this particular instance and in the presence of overwhelming visual stimulation, my answers were found in places where I looked, and felt safe. 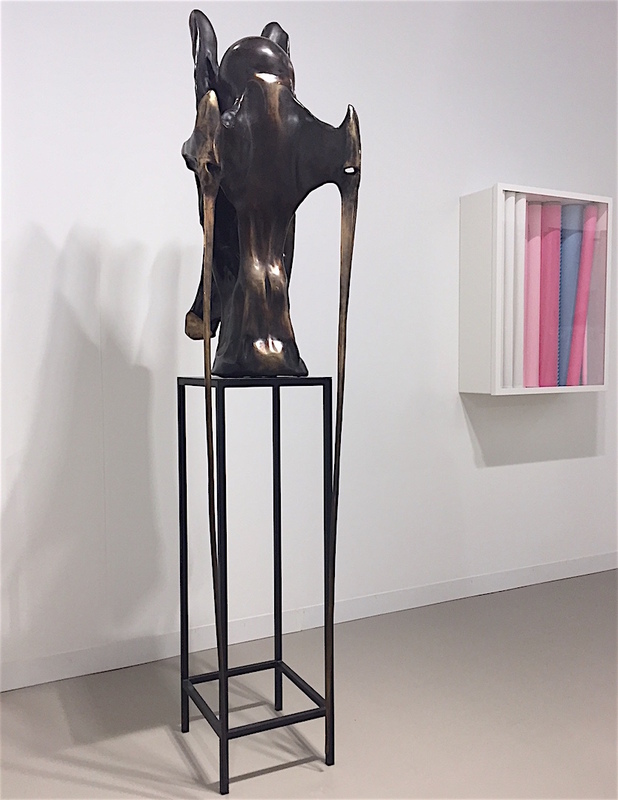 Below are our Eyes Towards the Dove Top Picks from Art Basel Miami, 2016.